TV often come in conventional shapes and look ordinary even though they convey fascinating images through their screens. A 20-incher innovative design from Runat is set to change all that. What is better than a Disney cartoon character to upset all conventions and bring some excitement back into the idiot box? 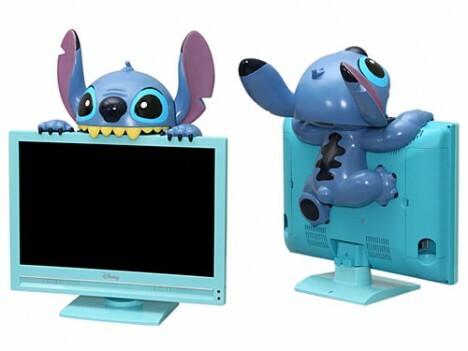 A full-scale Stitch climbing over the back of the TV with its razor-like teeth concealing the control panel is a must-have for Lilo and Stitch fans. A collection item, the $1,015 (100,000 yen) TV comes complete with a 20-inch 1,680 x 1,050 resolution screen, HDMI input and B-CAS Japan digital TV broadcast support. The TV is only available in Japan.